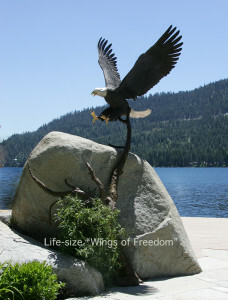 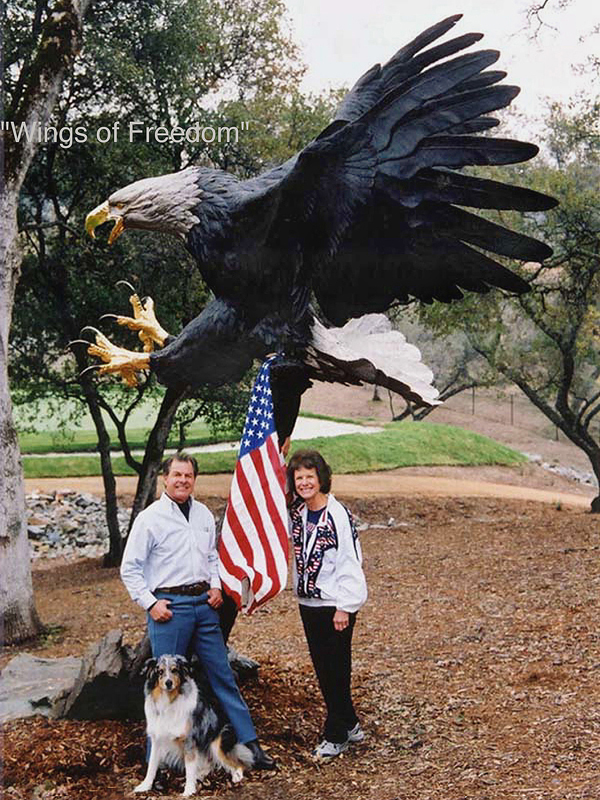 This bronze Bald Eagle monument, with its 16′ wingspan, was originally commissioned for a site in Las Vegas, also graces the grounds of the Eagle Lodge at the Mammoth Mountain Ski Area, and is home at our gallery in Northern California. 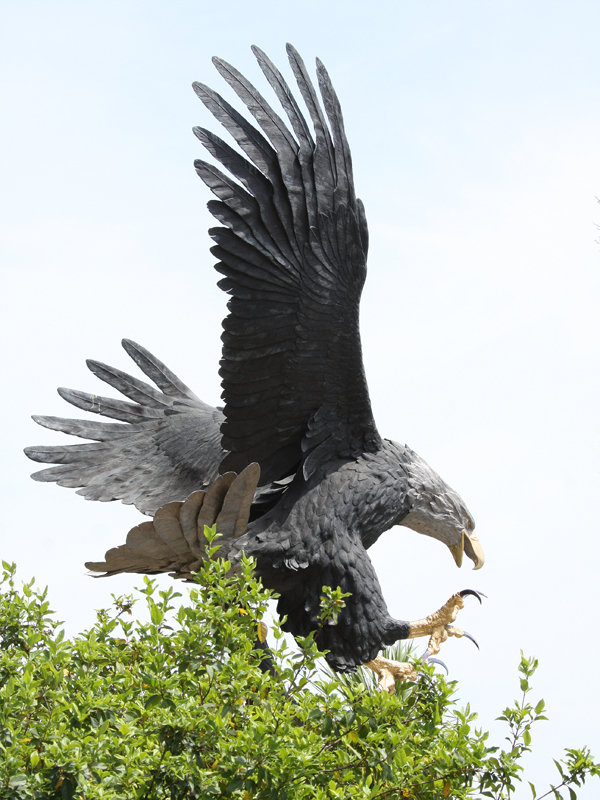 With its beak and feet plated in 24 Kt gold, nickel plating on the head and tail, and beautiful black pearl talons, this piece is exquisite from all directions. Also available in life-size.